Doctors, trainers and various other sports medicine professionals are all sure to tell you that eating healthy is part of being a successful athlete. What is not always mentioned is the need and requirement that you actually put forth the time and effort to create a very balanced diet. This includes the use of fats, proteins, and carbohydrates, three components that are typically considered bad nutrients. The thinking that is required of athletes not only in training but in nutritional situations is to consider food as a form of energy. Eating the right food can provide benefits to the body in extended energy and better muscle mass, while omitting the vital components can result in muscle fatigue, weakened muscles, deteriorating muscles, and even exhaustion to just mention a few problems. This leaves athletes with the responsibility of working closely with their doctors and coaches to develop an appropriate diet based upon their individual athletic abilities. In order to be successful, especially when doing endurance or strength intensive sports it is important to have the necessary muscle strength to actually perform the activity. If you are not consuming the correct nutrients, you are harming your body. However, there is more to proper nutrition than simply eating a small amount of the nutrients. For example, protein is a nutrient that many people have tried omitting in recent fad diets. 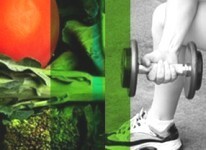 The bad news for athletes is that protein is a requirement in order to help build and maintain muscle mass. This results in athletes who cut protein from their diet losing muscle strength as well as mass, which can ultimately alter their performance, strength, and even health in the long term. Because of the benefits of consuming protein for athletes, it is vital that enough protein be consumed to keep the muscles in proper shape. A rough guideline that is standard to use is you need to consume .08 grams of protein for each 2.2 pounds of body weight each and every day. For athletes who are involved in endurance sports the number increases to 1.2 to 1.4 grams per day, and for those athletes who are involved in strength training activities the number jumps to as much as 1.4 to 1.8 grams per 2.2 pounds of body weight per day. In addition to the general guidelines that are set forth there are also times when it may be beneficial to increase protein consumption to assist in a muscle injury healing. When this is a consideration, you should talk to your doctor and get their exact recommendation on the amount of protein you should be consuming in accordance with still keeping an overall healthy outlook and physical routine. It is essential that you always careful discuss your exact protein requirements with your doctor as well as your coach anytime you start a new athletic activity, and especially if you are enduring some especially rigorous training for any reason. It is one of the most important things you can do to ensure that your body continues to develop and maintain the muscle mass that is needed to sustain the athletic activity of your choice. If you are even considering trying a diet that is low in protein, it is vital that you first discuss the risks with your doctor and consult to see if any other dietary changes could help you achieve the results you wish to achieve by omitting protein. Remember, protein is a necessary component to help you ensure that you are creating and maintaining muscle mass, which is a requirement for all athletic activities. Which muscles you use, and how strong they must be can vary, however having the muscle mass required is essential. 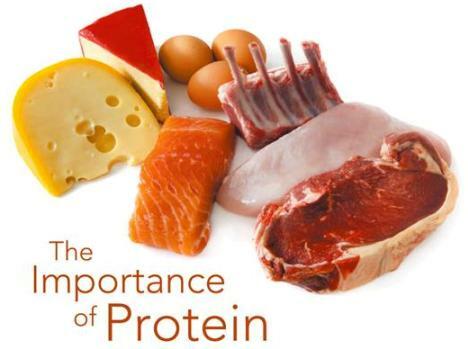 Never omit protein from your diet without first discussing it with your doctor. If your doctor agrees that it is wise to reduce or omit your protein intake, ensure that you are following your doctor’s instructions quite carefully. Failing to properly follow your doctor’s recommendations in regards to your nutritional health can harm your overall health as well. Brought to you by the publishers of green coffee beans and zetaclear reviews. You will learn more about our specialized health offers when you visit our websites.